The top of the range, 16 Channel X8R receiver from FrSky with 8 normal PWM outputs and no less than 16 channels on the dedicated S.BUS output. Now supplied with the 2015 firmware to compy with EU regulations. 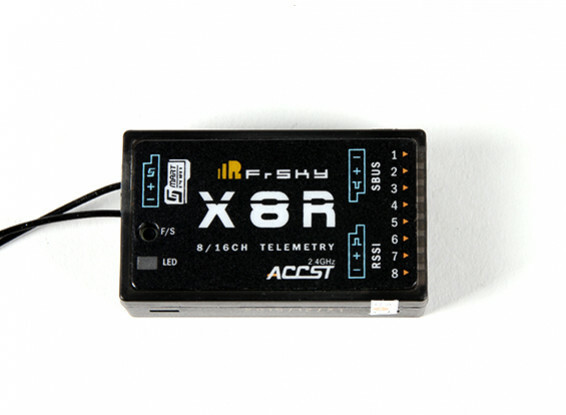 All 16 channels require the FrSky Horus, X9D/X9E Taranis, or the XJT module.